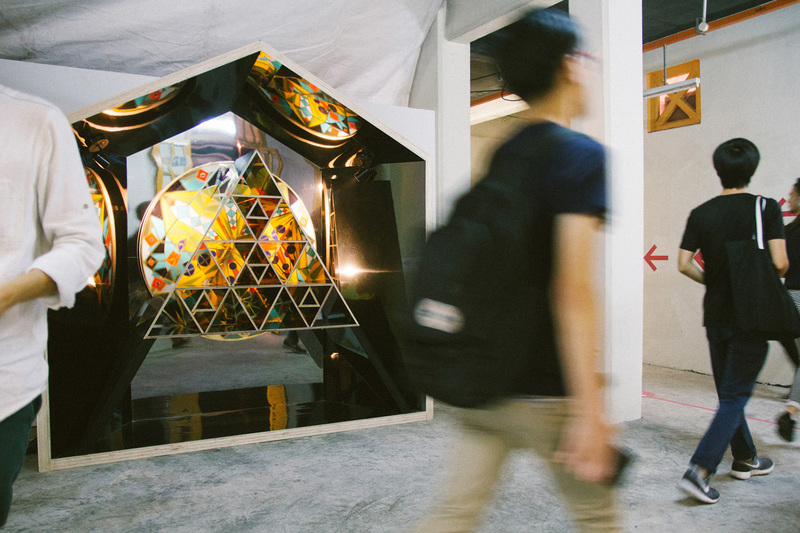 TOPOS Design Studio was proud to collaborate with Alvin Tan from PHUNK to present our moving artwork installation – In The House of Change – that commemorated the fourth edition of SingaPlural – Celebrating Design 2015, held from 10 – 15 March 2015 at 99 Beach Road, Singapore. Exhibited as part of “Connect the Dots: Design Installations”, In The House of Change was a holistic mirroring of life’s dualities: minimalism and complexity; constant and change; private and public. The event was opened officially on 9 March 2015 with many of Singapore’s well-known architects, designers and members of the art community, present. The team had lots of fun installing the artwork and we would like to thank our sponsor Admira for the wonderful laminates!